Mission: Solidance Inclusive Recreation Society is a non-profit organization that offers accessible, affordable, and inclusive recreation, physical activity, and creative movement programming for Albertans of all abilities. Mandate: Solidance strives to create opportunities for all Albertans to access meaningful recreational movement, and the joys and benefits of moving in community together. Community: Solidance welcome all community members regardless of ability, disability, income level, immigration status, cultural heritage, age, gender identity, and sexual orientation. We believe that inclusive recreation improves an individuals’ quality of life, and produces strong, diverse, communities that are inherently more creative, mutually supportive, and engaged. Inclusion: Solidance’s programs are open to all Albertans who desire to move together within inclusive communities. We prioritize, however, the opportunities of those who experience physical, financial, and social barriers to meaningful participation in typical recreation settings. As such, Solidance offers activities that are widely popular for Albertans, and yet largely inaccessible for certain individuals and populations. Leadership: Solidance believes in developing and valuing the leadership of those most affected by our programming. We actively recruit, train, and support community members – especially those who face significant barriers to traditional recreational opportunities – for positions of leadership including: board members, administrators, workshop leaders, and as class teachers. We believe that this approach to leadership leads to greater community engagement by both our organization and its members. Collaboration: Solidance prioritizes the creation of partnerships with diverse organizations that can collaboratively help to fulfill our vision of more inclusive and meaningful recreation for all Albertans. Solidance was incorporated in spring 2014, but builds off of eight years of recreational programming under the name "iDANCE Edmonton Integrated Dance". Lindsay Eales is one of the co-founders of Solidance, and has been running both recreational and performance-focused integrated dance & recreation programs since 2005 (she was formerly a co-founder and artistic director of iDANCE). Lindsay draws on her experience as a person with a disability, and a certified occupational therapist. She has trained with some of the world's leading integrated dance specialists. 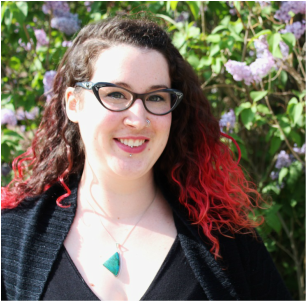 Lindsay recently completed her Master's degree on social justice in integrated dance, and is currently completing her PhD in Adapted Physical Activity at the University of Alberta. Kelsie Acton is a registered yoga teacher with seven years experience teaching creative movement and physical fitness practices to a wide range of abilities and embodiments. She has been a lead instructor with Solidance, University of Alberta Campus Recreation, and Orchesis Dance Group. She is one of the co-founders of Solidance, and has been part of the community for five years. Kelsie has a Master's in Theatre Studies, and is currently working on her PhD on Adapted Physical Activity at the University of Alberta.